For the second straight game, the Avalanche came out flat in the first period. This time, it didn’t really matter. 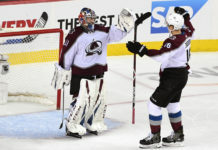 A four-goal burst in a span of seven minutes in the second period propelled the Avs to a 6-2 victory over the already eliminated Edmonton Oilers. Colorado struggled to do anything in the opening period, much like they did the previous game against the Blues, as they fell behind by two goals heading into the first intermission. Once the Avs got going, though, there was nothing the Oilers could do to stop them. 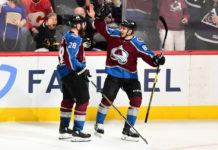 They received goals from five different players, with Nathan MacKinnon creating the spark with a highlight reel goal early in the second period to get things going. They never looked back, scoring six unanswered and coasting to a huge victory. The Avs now get a day off and wait for the Winnipeg Jets to come to town on Thursday evening, with a 7 p.m. puck drop. What did we learn from this win? The Avs gave Philipp Grubauer a much deserved rest, starting Semyon Varlamov for the first time since March 15. 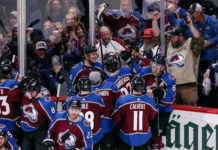 The pending unrestricted free agent may have been starting his last game in an Avs uniform, as no one knows if he will be back. The second goal of the game by the Oilers was one Varly would want back, but he was solid the rest of the game, and that’s all the Avs needed. Grubauer will no doubt be back in net on Thursday night. A small change in the defensive pairs yielded massive results. Nikita Zadorov was moved back with Tyson Barrie, and the pair was easily the most effective pair for Colorado. 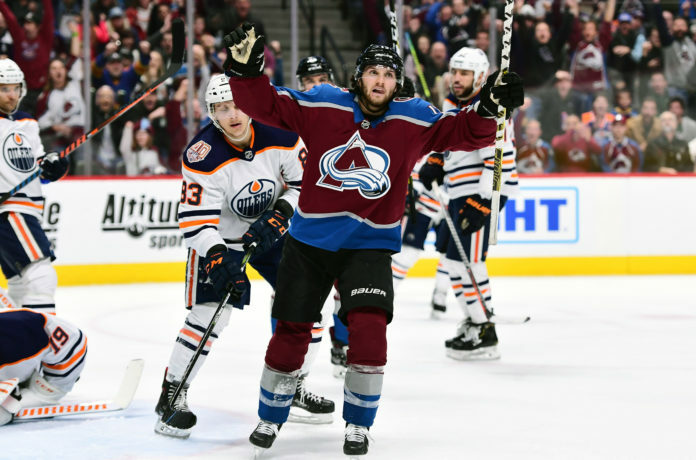 Much like they did at the end of last season, they were matched up with MacKinnon’s line up front, and the five-man unit caused nothing but problems for the Oilers. It’ll be interesting to see if the Avs keep this pairing the final two games, as it worked in this one. Speaking of Barrie, he was an unheard of +5, and if you include the MacKinnon goal, he was on the ice for all six of the Avs goals. He chipped in with another goal and an assist, and now has a career high 58 points on the year. MacKinnon broke through with his 40th goal of the year, and it was one you’ll see on the highlight reels. He burst between three Oilers defenders to spring himself for a breakaway before launching the puck over Mikko Koskinen’s glove hand. This is the first time MacKinnon has scored 40 goals in a season, and he’s now three points away from cracking the 100-point barrier. With Mikko Rantanen still out due to injury, Alexander Kerfoot has stepped up and filled in admirably on MacKinnon’s wing. While he’s not the caliber of player that Rantanen is, he’s smart and knows how to create offense. With two goals tonight, he’s now one point away from matching his total from his rookie season.